James wrote a series of fourteen crime novels featuring a reserved male detective by the name of Adam Dalgliesh. He’s the opposite of James Bond. He uses deduction, perseverance and a dedication to an often thankless job to ferret out the criminal. The annual conference of the Maryland Writers’ Association was held two weeks ago. 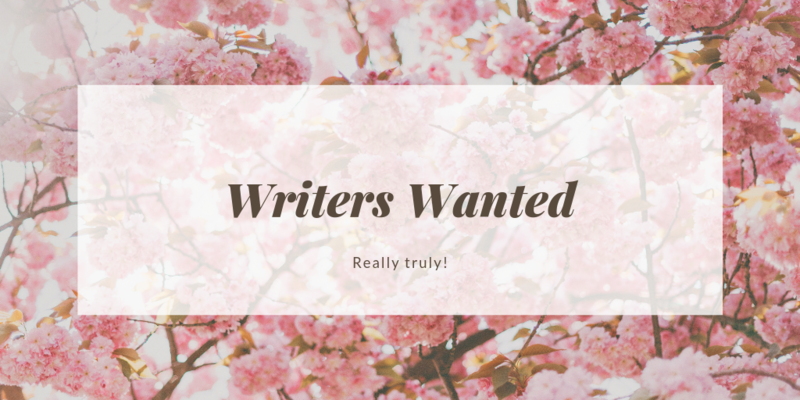 For a writer like me, this and other writers’ conferences offer a slew of opportunities and the serendipity of meeting new people and old friends–all at a relatively low cost. The keynote speakers alone were worth the price at the MWA conference. Chuck Sambuchino, freelance editor, bestselling book author, and former longtime staffer for Writer’s Digest Books, opened the conference with a half-day session on how to query an agent. For many years he edited the Guide to Literary Agents and the Children’s Writer’s & Illustrators Market. Keynote speaker Crystal Wilkinson, feminist poet and author, talked about character development and agreed to a quickly arranged and informal “fireside chat” on poetry. 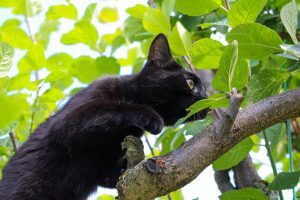 11 APRIL 2019 How are writers detectives? I’ve been thinking recently how writers are like detectives. They need to be constantly observant, picking up clues from what people are wearing, how they gesture, the words they speak, the way they interact with others. They study people’s facial expressions and what they suggest, storing away the data in their memory banks or taking notes in a writer’s journal that they’ll refer to later. Detectives need to ask questions, the right questions, without arousing the suspect’s suspicions. Writers are also usually operating undercover in this way, querying their family members, friends, and acquaintances on unfamiliar subjects, building up their store of knowledge. A good detective, like an amateur psychologist, also is skilled at looking beyond surfaces, trying to discover the hidden meanings in words, expressions, gestures, aware that most things have multiple meanings. Writing these things is pretty much like sending out a message in a bottle. If I’m lucky–and often I’m not–a handful of family and friends might glance at my blogs. I often feel like giving up. Why should anyone read what I have to say here? Everyone’s busy. I get that. Heck, I don’t read most of what my friends write, so why should they read my stuff? And why should they read my book review of a book that has already been reviewed countless times? Honestly, the last thing the world needs is another blog by an obscure writer. But obscure writers with newly published books need blogs about them desperately. That’s why this month–instead of my usual solipsistic musings on reading, writing, and literature–I’m going to make an offer. Many great stories start with the author asking themselves, “What if x then y?” And a new story is born. “What if there was a boy who lived in a cupboard who was actually a wizard?” These two simple words have incredible powers in a writer’s mind. One of the tutors for my Masters programs preaches the power of “what if.” If you’re stuck for a story idea, just start writing out a bunch of what if possibilities. -What if aliens came to the universe on a motorcycle? -What if the earth stopped spinning, and a 10 year old girl was the only person who could set it right again? Just think of as many what ifs as you can, until your brain hurts, and then go back through your list and start writing the one that sticks out in your mind the most. A Conversation with Roz Morris, Part 3. Are Creative Writing Degrees Relevant in the Current Publishing Climate? 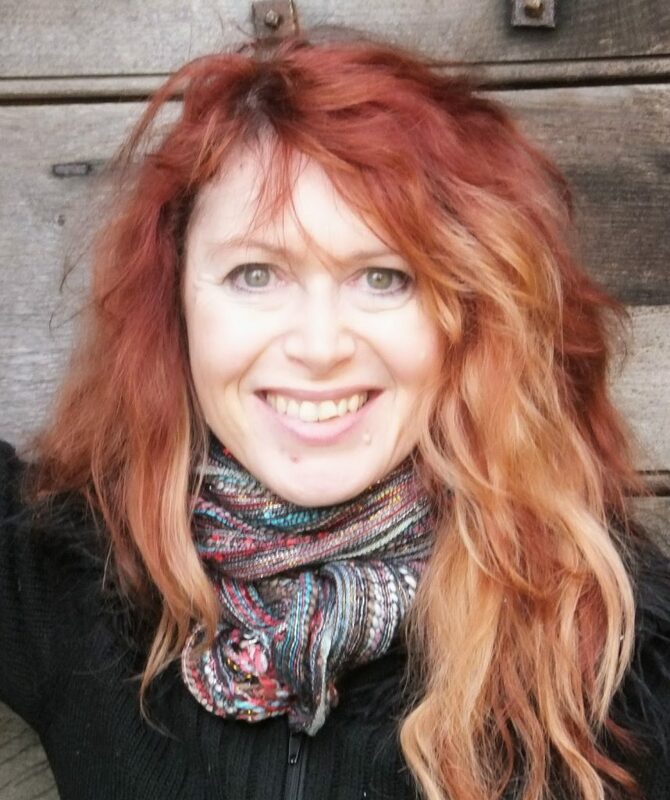 26 MARCH 2019 A Conversation with Roz Morris, Part 3. Are Creative Writing Degrees Relevant in the Current Publishing Climate? Roz Morris: The publishing business, like all arts businesses, has been through many upheavals in recent years. Has this affected creative writing courses? Do some students come to a course because they think a qualification will give them an extra foothold for a publishing deal? Garry Craig Powell: I don’t think it’s affected creative writing courses enough. They have a responsibility to be absolutely honest with students, who often do begin their courses thinking that the degree will give them an excellent chance of getting a publishing deal—which as you know, is far from the case. In fact no one in the publishing world cares what your academic background is, as far as I can tell. One of the reasons I keep traveling out to Tucson each March is to attend the Tucson Festival of Books, which has become one of the country’s top book festivals by attendance and by the quality of authors it attracts. This year 140,000 patrons were exposed to books and authors––fiction and non-fiction, geared to readers of all ages. I prefer sessions where I can hear fiction authors talk about their books and writing careers. Here’s a sample of authors readers might look for in their librarys and bookstores. Rachel Kadish. 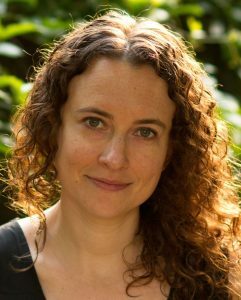 Kadish is the author of The Weight of Ink, a complex historical novel that took her 12 years to write. The story takes place in London in two time periods—the year 2000 and the mid-17th century and traces the lives of two women––a history professor nearing the end of her career and an orphan who becomes the scribe to a blind rabbi. Two new releases consider the pursuit of the American dream--one as a dark comedy, the other as a tragedy. In my review of The Bookshop of Yesterdays in January, I talked about the novel’s complex interweaving of different types of stories, including a mystery, an adventure story, a love story, and a tribute to literature. This month I’m pleased to have Bookshop’s author, Amy Meyerson, tell us some of how she created this bestselling novel, which will be translated into nine languages. Amy teaches in the writing department at the University of Southern California, where she completed her graduate work in creative writing. She’s been published in numerous literary magazines and currently lives in Los Angeles. SW. I really enjoyed the clues in the story’s scavenger hunts. How did you approach writing the ones that weren’t direct quotes? AM. There are three different scavenger hunts in the novel, two from Miranda’s childhood and the one her uncle sends her on in the present day of the book. Can merging two personal book collections break up a marriage? I asked this question last month and got some excellent tips on how to deal with domestic disputes that arise when “marrying” two systems of organization (or lack thereof). Some people grappled directly with the issue at hand. Others responded with ways they organized their personal book collections. Some simply said, or implied, that the best system is to donate books once you’re done with them. Beth Dietricks’ first response to my question was that she doesn’t have many books anymore because she’s “tired of accumulating things” and tries to “pass them on to get rid of them.” After trying to organize her remaining books by size, though, she discovered that she still had books in every room of her house. Author of the story “Memorial at the Club New Orleans” in SAINT AND SINNERS 2018 and of two novels in progess. In my day job, I am a project manager. I can’t help but notice some parallels between getting projects done and what we go through as writers. For example, in the continuum between the “Pantsers” and the “Planners,” I have late in life embraced the Planner philosophy. Map out your direction and then write to that plan. As someone who struggles with procrastination and closure-phobia, I value Plannerism as a way to actual complete something rather than draw it out into eternity. In project management, we would call pure plannerism the “Waterfall” methodology. Construction or aerospace engineering projects have always benefitted from extensive planning with the final product design in mind. By all means, Boeing, keep covering every little safety detail, please! Roz Morris is a professional writer, editor and blogger. She is the author of the Nail Your Novel series, as well as the novels My Memories of a Future Life and Life Form Three. She is also the author of Not Quite Lost: Travels Without a Sense of Direction, (for which I interviewed Roz in this blogzine exactly one year ago, January 26th, 2018). 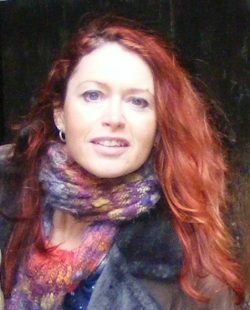 She teaches masterclasses for The Guardian newspaper’s writing classes, and has ghost-written bestselling books. Roz Morris: Any general advice for writers who are wondering whether to take such a course? Who should take them? Who shouldn’t? 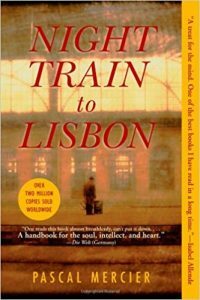 Pascal Mercier’s Night Train to Lisbon is a fascinating literary novel and also a treasure of quotable wisdom. On the walk to work a Bern schoolteacher experiences a life-changing moment when he saves a woman from jumping off a bridge into the river. If he doesn’t become haunted by the woman herself, he becomes haunted by her language and, after a ride on the night train to Lisbon, her country. In a secondhand bookstore he buys a little-read memoir and begins an excursion into the life of a physician who grew up devoted to his father yet in conflict about the fact that his father was a judge under the dictator Salazar. The passage on anger that so struck me, being someone who has spent a lifetime feeling that his temper is his worst enemy, comes from the fictional memoir within the novel. 9 FEBRUARY 2019 Why I read novels! As a fiction writer, I often ask myself why people read novels and how can I convince them to read mine? That question occurred to me again recently when I finished a novel that had me questioning why I read fiction. The book was engaging enough. The writer was competent and had created characters that seemed believable (though that isn’t necessarily a criterion for me). There was enough tension to keep me reading in order to discover more about these lives I had immersed myself in. But the experience felt flat, and I wondered why I had spent several precious hours on something that wasn’t more satisfying. So why do I read? For me, reading isn’t necessarily to escape my daily life. Money. Religion. Fidelity. Those are supposedly the top issues that destroy relationships. 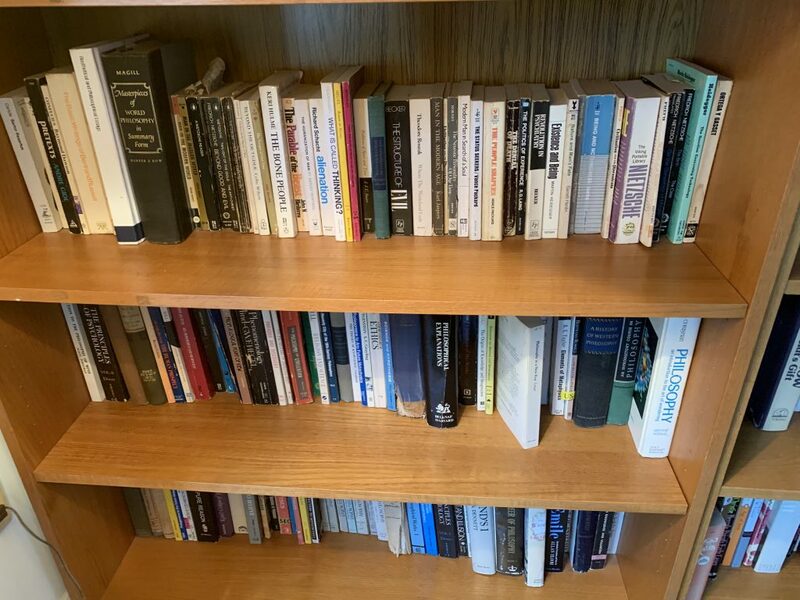 But for some bibliophilic couples, a more challenging issue is how to arrange the books. My husband and I share most values, or so we’ve always believed. We have a common religious and educational background. Our lifestyles and life goals are compatible. We even survived a 3-week bicycle trip through 1980’s China before we decided we could spend a life together What we failed to realize, however, was that combining our two book collections would be harder than combining our finances. It turns out many of our friends, usually academics and/or writers, share this problem. 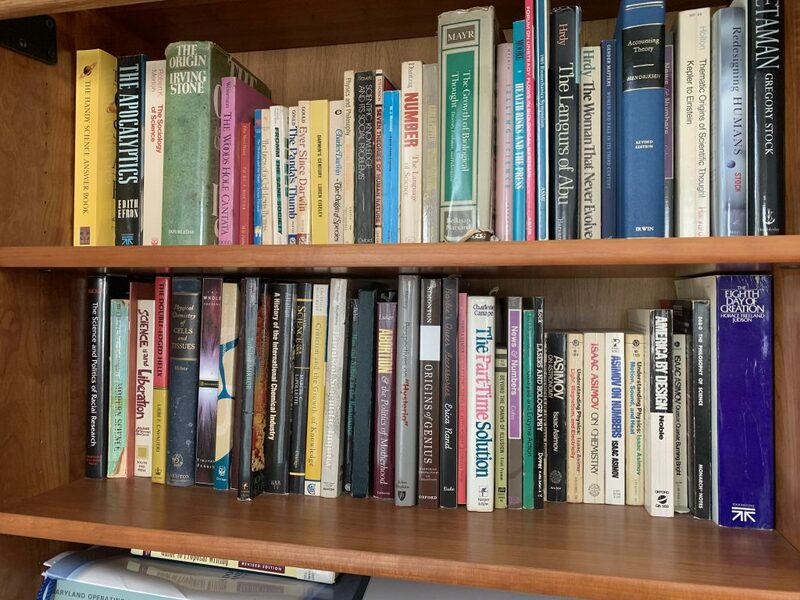 People who love or use or need books turn out to care quite a bit about how to shelve them. 1 FEBRUARY 2019 Hi, I’m Hannah! As my first post on Late Last Night Books, I thought I’d introduce myself. So hi there! My name is Hannah, and I am currently working toward my master’s degree in Bath, UK. Bath Spa University has an amazing MA program called Writing for Young People. Yes, the obvious answer to your question is—I’m loving it. Even though I earned my BA in General Creative Writing, I focus on young adult literature. It’s what I write, read, and love. There are often stigmas surrounding writers who choose to write for young adults. People believe that YA is not true art or is mindless reading. But I beg to differ. 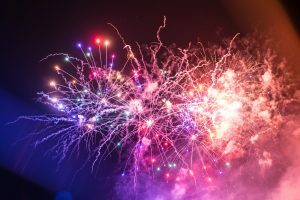 If you look at some of the amazing literature that has come out of both the Middle Grade and Young Adult genres, you’ll be quite surprised at the social change they are making, as well as the beautiful literature they are writing. 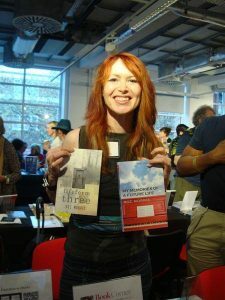 Last year Roz Morris interviewed me on the subject of creative writing courses, specifically, and more generally, how to learn to write. It was a long conversation, so we’ve divided the interview into four parts. This is Part One. Happiness is a story of subtle changes. Aminatta Forna’s protagonists, an African psychiatrist specializing in trauma and an American naturalist, meet by accident on a bridge in London. Coincidence repeats and a relationship is built over a relatively short time period of time based on open-mindedness, shared natures, and eventually physical attraction, but what is this story about? Forna seeks to keep us interested in the slow evolution of these characters’ relationship by weaving each person’s past in with present events––which include the search for a lost child, dealing with the needs of a former lover institutionalized for dementia, and being tuned into a city populated by foreign nationals, foxes and escaped pet birds. At one point, the psychiatrist, whose name is Attila, suggests happiness might be found in a village in Cuba which is cut off from that island’s poor infrastructure. This luminous debut paints a world through the eyes of the artist at its heart. Years ago, I met a woman who was slim, attractive, and swimming laps in a pool. Then I learned she was 91 years old. Ninety-one! She became my role model for someone who is 90 years old, and I used that image in developing the amateur detectives in my mystery series featuring the 90s Club at Whisperwood Retirement Village. Then I submitted drafts of my chapters to critique groups. My 90-year-olds needed to be feeble, they said. Blind, deaf, using a cane or walker, wheelchair-bound, dribbling Pablum. That’s what 90-year-olds did. I disagreed and started collecting articles about people who were 90 and older running marathons, dancing, winning tennis matches, writing books, working, even learning to read for the first time.